We are a well-renowned organization in the industry to provide our patrons the best quality of EVA Based Hot Melt Glue. Binding pasting all kinds of Books Niyo Hot Melt Book Binding Glue is polymer based and are 100% solids, containing no solvents or water. The book binding glue is also thermoplastic which means the glue is solid at room temperature, but liquefy upon heating.Our book binding hot melts are applied at a temperature around 180°C. We are Leading the Hot Melt Book Binding Adhesive. - Efficient and cost effective album binding. - Portalbe and easy operating. - Simple mechanism for consistand problem free use. - Only one side rubber roll to coat thin layer. 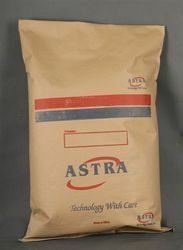 Being a customer oriented organization, we are deeply engaged in offering a wide array of Adhesives Hot melt. We are engaged in offering our clients, an assortment of Hot Melt Adhesives for Book Bindings that is manufactured using premium quality raw material procured from the reliable vendors of the market to ensure durability and quality in the final output. 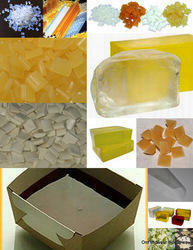 We Are also a leading manufacturer of Hot Melt Adhesives for Hygiene Products and Hot Melt Adhesive for Soaps.